The famous work of Sailor Jerry has been on display at the U.K.’s Cargo Bar this week. The show featured life size stand ups, full artwork and video clips on the life of Norman Collins, aka Sailor Jerry. For those of you who don’t know (if there is such a person) Norman Collins was a revolutionary tattoo artist considered by some to be the father of the modern tattoo art form. He was the first person to use purple in his tattoo designs. He created needles that rooted pigment with less damage to the skin, and he was one of the first artists to use surgical quality tools. 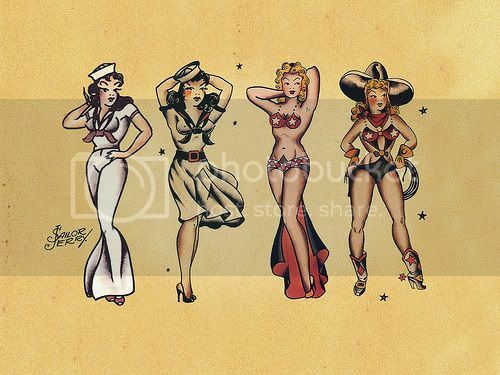 His style was a mix of pin up girls, iconic sailor images and dark humor that has inspired tattoos for decades. The popularity of Sailor Jerry’s work continued long after his death and has seen an influx in recent years. 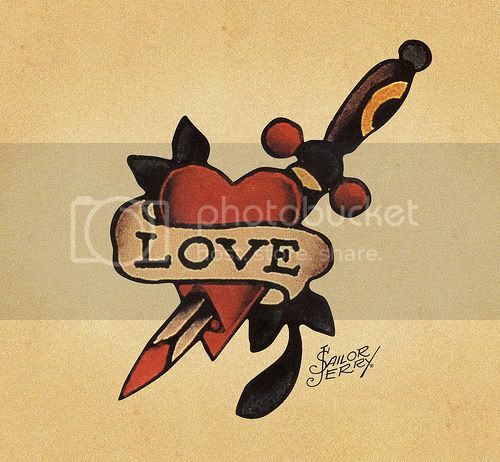 From retro tattoo work to material goods; Sailor Jerry is everywhere. You can find him on the rum bottle he endorsed- Sailor Jerry’s Rum, on clothing, playing cards, purses, even shoes. While it’s probably not the first time Norman Collins, or his work, has been in a bar, the show at the Cargo was an all out event. Designed to show the man through the art, the show features life sized pin up girls, classic and not-so-well-known artwork, endless pictures of his tattoo designs, and videos of his life. The bar even had Sailor Jerry Girls passing out rum and temporary tattoos. While I missed the show, mostly because intercontinental flights don’t run cheap, I’m hoping the Cargo will inspire other bars to put on a show of their own. Maybe even a US tour. After all, rum + tattoos + life sized pinups= a good time for all.